ADQ500 series quarter-brick isolated DC-DC converters produce a single fully regulated 12 V output. Rated at 500 watts, these converters can deliver up to 42 amps output current and have no minimum load requirement. They have an input voltage range of 36 to 75 V and are primarily designed for use with standard 48 V supplies in computing and server applications, as well as regulated 48V supplies in communications equipment. 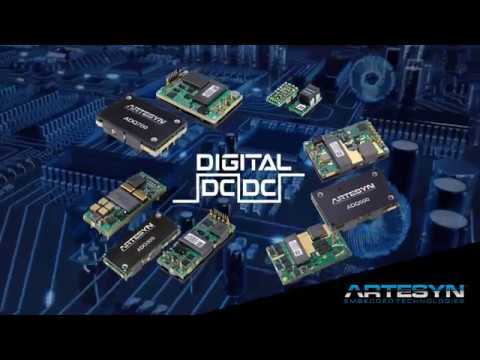 ADQ500 series converters have both a digital interface version and an analogue interface version that both follow the industry standard DOSA footprint. 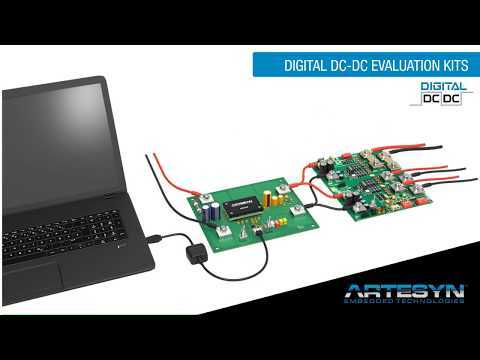 The digital interface version allows communication to the converter via a PMBus command protocol with control and monitoring functions for voltage, current, temperature and the setting and reporting of fault conditions. Standard analogue control features include output voltage trim and remote on/off functions. ADQ500 series converters have an ultra high efficiency of typically 95.5% at full load and can operate over an ambient temperature range of -40 to 85˚C, making them an ideal choice for the isolated converter in a distributed power architecture supplying power to non-isolated converters. Their open-frame design is optimized for forced air or conduction cooling and an aluminium baseplate option is available for enhanced thermal performance. The conversion technology employs 175 kHz fixed frequency switching to help minimize external EMI filtering requirements. Standard features protection features are input undervoltage, overvoltage lockout, output overvoltage, output overcurrent and overtemperature conditions. ADQ500 series converters have an enhanced pre-bias start-up capability and for high current applications two converters can be connected in parallel, automatically using the droop method of current sharing. ADQ500 series converters are low profile units that are ideal for systems with demanding inter-board spacing requirements; the open-frame models have an installed height of 0.43 inch (11 mm), while the baseplate versions require 0.52 inch (13.3 mm).